The deputy head of the Russian Central Bank in a Far-Eastern city has killed three of his colleagues and committed suicide after he was reportedly fired. Sources claim the murders could be connected with a reshuffle of bank staff. The deaths occurred in the city of Blagoveshchensk, in Russia’s Far East Amur Region. A team of investigators is working at the scene of the incident, said Aleksey Lubinsky, an official with the federal Investigative Committee in the Amur Region. The female victims worked as a deputy head of department and as head of a bank branch, while the man was head of bank management. Investigators have found a Saiga gun, which might have been the murder weapon, a source told RIA Novosti, adding that experts are trying to determine how exactly the weapon was smuggled into a well-protected building. The Central Bank of Russia views the incident as a “terrible tragedy,” Georgy Luntovsky, first deputy chief of the bank, told Tass news agency. Luntovsky expressed his condolences to the families of the victims, and promised to help them. Employees who managed to get out of the bank an hour after the shooting expressed their shock. 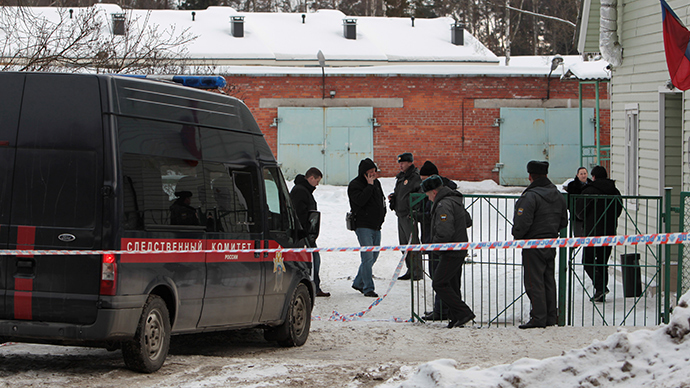 A law enforcement source confirmed to RIA Novosti that the bank employee committed suicide using an explosive device. “Preliminary investigation shows that the man was killed from an explosive device,” said the source, adding that the authorities are investigating the type of the device.